Are you feeling stuck? Ever wish someone could just give you the answers and guidance that you need to unleash your personal power? Let my spiritual and healing gifts give you the winning results you are looking for. This woman is so accurate she gives me chills. Thank you so much I do not know what I would do without you in my life. YOU are the best and deserve 100 stars! I come from a long line of healers and psychics, my mom being my main influence. I grew up around incense, crystals, tarot cards, psychic visions, astrological predictions and visits from spirit. Whether it was grandma interpreting dreams or my aunt practicing spiritual rituals, my childhood was everything but normal. At 13, I instinctively started reading the love lives of my friends with a regular 52 card deck. I was always right! I began studying Tarot in my free time when my hobby became a talent. Soon everyone wanted a reading and it actually put me through college. After graduation things went south for me as it did for most Virgos at that time. I was unhappy with what my psychology degree had to offer me and felt uninspired. I wanted to make a difference in peoples lives but modern treatments left more to be desired. I emersed myself in my spirituality, using Tarot as my guide to get the answers I needed. I was told to take up yoga, mediation and proper nutrition. I lost 50 pounds and completely changed my life physically and spiritually. Fast forward a few years and I am now my own boss as a healer and wellness advisor. I teach yoga, am a Reiki master, meditation teacher, Ayurvedic practitioner and wellness coach with an empathic gift for intuitive healing. Now, I absolutely love my career and helping people live their best life. I use both my psychic intuition and holistic knowledge to help my clients get the answers they need to excel in every aspect of their life. Let me help YOU get the answers you are looking for and the support you need to move forward in life with confidence. I would be more than honored to use my talents to help you on your journey. Namaste, peace, love and light! Being a healer with a psychic intuition has its many advantages when helping others achieve their best. Whatever you feel is plaguing you, I can help! Do you wonder if you are in the right relationship or if your partner is faithful? Let me help you get the answers you need and give you practical tools to improve your situation. Do you feel stuck at a dead end job? Do you need guidance to set you on the right path? I can help you gain the clarity and focus you need to improve your career and finances. Are you finding yourself in a difficult situation with a friend, family member or coworker? I can help to guide you and assist you in the problem solving process. Let me help heal you by uncovering the underlying problems blocking your success and help you to develop habits that deliver winning results. 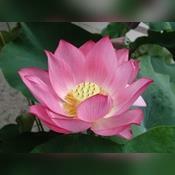 Get your Sacred Lotus Reading by Email Now! I often hear from my clients that written readings are an awesome tool for growth. Unlike a call or appointment, a written reading offers a point of reference. It gives them something to look back at while they are experiencing changes and transformation. I also find that many clients seem to enjoy having a written reading first and then following up with a live reading to clarify any further questions. Do you have a situation or concern that you need help with? This Celtic Cross Spread is a great place to start! Need relationship advice? Then the Mirror Spread is for you! Need to talk about it? Call or chat with me now! Padma Devina has been a user of Keen since 2014. Getting Tarot Readers advice from Padma Devina through www.keen.com is safe, secure and confidential.